A group of MPs is urging the Government to bring forward a ban on the sale conventional petrol and diesel cars to 2032. Currently, the UK is working towards the Government's Road to Zero strategy, which says only cars which are 'effectively zero emission' should be sold from 2040. This means that electrified cars including plug-in hybrid models will be exempt from the ban. Today, the Business, Energy and Industrial Strategy Committee - made up of MPs from Labour, Conservative and Scottish National parties - has called on the Government to bring forward the 2040 deadline to 2032. It's also said that the loophole which will allow new plug-in hybrids to be sold should be closed. The report, which claims that "zero should mean zero", says that only cars with no tailpipe emissions should be allowed to be sold after the deadline. This includes true electric cars like the Nissan Leaf and hydrogen cars like the Hyundai Nexo, but excludes plug-in hybrids like the Mitsubishi Outlander PHEV. 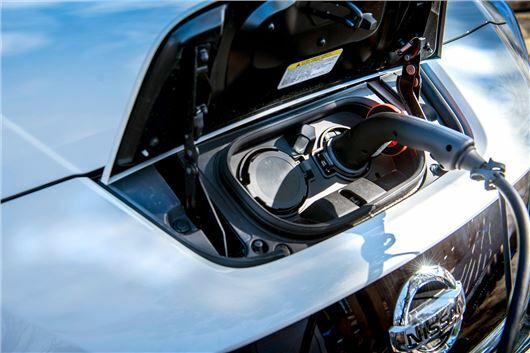 It's also criticised the UK's charging infrastructure, saying it encouraged 'range anxiety' from EV drivers concerned about reaching their next charging station. It complained that the Government had left the introduction of charging points to individual councils and private firms when a 'shared approach' was required. BP Chargemaster, which manages the largest electric vehicle charging network in the UK, argued against the claims. "The committee’s finding that EV charging infrastructure is ‘not fit for purpose’ does not correlate with the overall customer experience and appears to be based on outdated information," said BP Chargemaster's chief executive, David Martell. Martell added that the figures used by the committee related only to publicly-funded charge points, ignoring the UK's privately-funded infrastructure. “Government’s 2040 ambition was already extremely challenging." He said: “The largest factor limiting the growth of the UK EV market today is the number of electric cars physically available. There is probably sufficient demand for around 100,000 new EV registrations in 2018, but that number is likely to be around 60,000 due to supply constraints." The Society of Motor Manufacturers and Traders (SMMT), which represents the UK automotive industry, has also criticised the report - branding the suggestion of a 2032 deadline as 'nigh on impossible'. “Government’s 2040 ambition was already extremely challenging, so to fast-track that by eight years would be nigh on impossible," said the SMMT's chief executive, Mike Hawes. "We said we need world class infrastructure and world class incentives to have any chance of delivering so the recent cuts to the Plug-in Car Grant and lack of charging facilities – both of which are severely criticised by the Committee – show just how difficult it would be to accelerate this transition." Last week the Government announced a slash in subsidies for low-emission vehicles - something the report branded as 'perverse'. Another daft idea from MPs living in La-La Land. It took this country 50 years to develop an adequate network of petrol service stations, so how do these MPs plan to do the same for electricity charge points in 14 years? The first thing they should be thinking about is how to provide sufficient reliable power to charge the 30,000,000 electric cars needed to replace the petrol and diesel ones - wind power isn't going to do it by itself. Also, the sheer expense of buying electric cars with adequate range for ordinary motorists' needs is a no-no for most people. How about MPs leading by example? Ban all parking at Westminster & Whitehall buildings for fossil fuel cars. Replace all government limos with electric cars. Stop paying mileage allowances for MPs unless the journey is made in an electric car. They don't have to wait until 2040, they could do this by Christmas. Considering the antipathy toward energy generation be it nuclear, renewables or coal how the heck we'll do this on top of Brexit defies belief! While I really like the idea of electric cars (purely for acceleration) the technology is not there yet. I live rurally far north of Scotlan, I have a few things to tow (boat, digger and caravan) the heaviesy of which is nearly 3Te and the lightest around 1.3Te). There are no electric vehicles that could do this in the real world for more than a few miles. There's no network here for fuel let alone electric. This is nothing but our government once again being londoncentric. Quite correct. MPs listen to these minority pressure groups instead of questioning the science. Pure electric cars cost a fortune - thank heavens the subsidy for them is coming down. I have had a BMW i3 for over a year and I have returned it. Why? not because of the car itself but the infrastructure for charging is extremely poor and not reliable. 3 out of 10 of the motorway service points for the fast charger were out of order. Its not cheap to charge out and about. The time wasted waiting for the charge to complete is too long and you have to plan every journey because of the lack of charging points. There are way too many electric/hybrid cars out there compared to the charging. I have gone back to diesel knowing I can get 600 miles plus in one go and 5 minutes to refuel. If the govt want us in electric they need to make manufacturers and every single fuel station in the country get onboard. Petrol/diesel is still cheaper per litre than bottled water. This government are the most ignorant pig headed lot of all time, all they are worried about are their so called "figures" they do not even consider the emissions from the thousands of aircraft in the skies above our cities, the missile&bomb testings,the massive ships on the oceans that belt out tons of pollutants, it's just ordinary working people that they want to hit in every way they possibly can,Why don't they listen to advice from people that know&fit systems on older diesel cars like cgon&adblue that will cut any harmful emissions by up to 80%but no none of them have got the sense even to listen,all they want is everyone to give up perfectly good cars for stupid battery powered cars, how do they think ordinary people can afford to buy these stupid cars when after about a year you will have to replace the battery that will cost more than the crap car is worth, they are now bringing this country to it's knees with this stupid brexit that is going to be a total disaster for car makers in this country.I just hope they can see sense before it is too late or can be kicked out of office for good. This ignorant showboating by this Commitee merely confirms the fact that we currently have the most incompetent, arrogant, out of touch Government since the Second World War. Even if they could guarantee the necessary charging infrastructure and the enormous increase in electricity supply capacity required, the ques at charging points if 30 million electric cars are on the road, would snarl up the whole road system. If and when electric cars can be charged fully in say ten minutes and the average range increased to at least 300 miles, then such a crack pot policy they are suggesting might just be viable. Until the technology improves out of all recognition, these MP's are as usual, living in cloud cuckoo land. Terraced house and flat owners cannot guarantee to park their electric cars outside their house at night, so how are they going to charge them? There are millions of people in this situation. Once again the barmy bearded bicycle brigade are living in cuckoo land. We are being warned of power outages due to lack of generating capacity whilst at the same time decommissioning nuclear power stations without replacements and closing fossil fuel based ones. They should all be made to have blooming great windmills on their country estates and offshore near their holiday homes. Not one of them comes up with a viable answer and not one of them thinks about how we will power 40 ton HGVs or Jet liners. How will we be able to have an Air Force with non existent electric fighter planes or an Army with electric powered tanks on the battlefield. ("Sorry - can we stop the war whilst we recharge the battery?") It will take years before we have a car that will do 400 miles on a full battery and a battery that can be charged in the 2 minutes that it takes to fill a tank with fuel. Sadly, we get lumbered with MPs who know nothing about real life or real people and I suppose it is our fault for electing them in the first place. It is a challenging target but as vehicles improve range issues will be less of a worry and for many many owners an EV as a second or first vehicle works now if they can be charged on the drive. I rarely use public charging and do find it a bit of a struggle in unfamiliar towns. My biggest bugbear however are the number of different charging networks which exist requiring apps, memberships and stuff. It just complicates the whole process we don't suffer recurring charges and membership fees when buying petrol, why cant we just plug in pay for the service using a credit card and then go? I have small credits with several charging networks which have the closest charger 200 miles from home. This over complication is very off putting especially for the less tec savvy. Hydrogen fuel cell cars do not need to be charged. They only require a sufficient number of hydrogen filling points at existing fuel stations. Electric cars could neber see universal adoption. There aren't ( and probably could never be) sufficient charging points .... but that is not where the real problem lies. Realistically it is only viable to run a pure electric car if you have access to overnight charging. In every city in the UK (and most towns and villages) there will be a significant proportion ( in London a huge majority) of terraced homes or high rise apartments where having a "personal" charging point is virtually impossible. Present policy is equally confused. The demonisation od diesel cars has alad to sales plumetting by a third and these have not been replaced by drivers buying alternatives. :ike me they are holding on to their reliable economical existing diesels. The Government have thrown the baby out with the bath water. New diesels are now amngst the cleanest cars on the road. Instead of overall emissions dropping ..... they will be increasing as a result of the owners of older polluting diesels keeping their cars for fear of falling foul of huge depreciation if they were to buy a new diesel. How might the government be planning to recover the lost revenue from petrol/diesel sales? This revenue must be huge and has to be recouped from somewhere. Maybe they'll add it to the cost of electricity? How many other countries are going down the zero route? I suppose being British we always cop for the rubbish deal and everyone else will be zooming about on fossil fuel until it runs out - if it will in the next 100 years as fracking is delivering now. I can't believe our MPs' stupidity. Imagine the economy with tens f millions of ex motorists not getting to work? Not realistic and I can only assume each new parliament will kick it down the road for more time. I have been following this debate about electric vehicles for the past 40 years or so and in that time little progress has been made in electric vehicle technology that will stand up to scrutiny against petrol and diesel . The only progress that has been made is in hoodwinking the general public that hydrocarbon fuels, and diesels in particular , are bad. What utter rubbish ! Unfortunately the great unwashed public are easily fooled by governments. Diesels, and petrols, are as clean if not cleaner than electric and they will always, always be more convenient. You cant carry a tin of electricity around with you and who wants to wait an hour or so while their vehicle charges up? Mark my words. Until electric vehicles become as convenient as petrol and diesel they will never become popular except for milk floats ! I am very surprised that no one seems to be fighting the diesel/petrol corner in fact the exact opposite. I'm in favour of progress but ithas got to be proportional. So come on you motoring pundits show some backbone and dont jump on the electric bandwagon ! I see this electric fad fading away and IC engines winning the day. I agree with Alan P. Rhodes. The Government/Chancellor in its ignorence has demonised Diesel beyond belief and the Press in its desire for senstional headlines has helped. Everything we eat everything we wear in fact most things we own, are brought to us via Diesel. Before Euro 5, emissions on No2 were 185mg per kl. They were subsequently reduced to 80mg per kl for diesel cars and 60mg per kl for Petrol because Petrol cars also emit No2. There has been no distinction made between modern Diesel vehicles and old polluting ones which should be taken off the road. In addition, modern Diesels, Euro 5 and Euro 6 have Diesel Particulate Filters (DPFs) which burns the particulates, commonly referred to as soot which is the killer that embeds itself in tissue, to a harmless ash which is dispersed into the atmosphere. Modern Diesels are now ultra clean yet the Chancellor has put the tax band on all new Diesel cars up to the next level and to add to the problem, many garages think they are justified in selling Diesel fuel up to as much as 6 pence a litre more than petrol at the pumps. Sheer lunacy! A few of facts worth noting. The 'toxic emissions' generated from the manufacture of a single vehicle battery cell, is equivalent to running a Euro 6 diesel car for 10-12 years. The current life of single vehicle battery cell is 8-10 years! The current Euro 6 diesel cars generate less NOx than comparative petrol alternatives, though they do generate slightly higher levels of CO2. Diesel cars run on average 30% further on a gallon than their petrol counterparts. NOx is bad for the environment whereas CO2 is bad for humans. So in short, lets save the humans on the one hand by demonising diesel vehicles, yet kill the planet on the other by adopting the same strategy. Then to add insult to injury, lets bring the down fall of all, by promoting the adoption of an electric alternative, without consequence as to the damage inflicted to both the planet and its inhabitants in both the manufacture of its storage medium (battery) or the generation of the energy required to keep that medium functional. The country cannot keep up with electricity demand required following the half time whistle during the Cup Final, so how are we going to survive with 30 million vehicles being plugged in at night? Anyone want to buy some candles? Every time this subject comes up, it is claimed that the Government is going to ban petrol/diesel cars. This is not true although the bunny huggers would like you to think that. When the 'ban' was announced the official statement included a significant word 'conventional.' Come the day this leaves much wriggle room and the death of petrol and diesel has not yet been announced. Who knows what conventional means? Does it include hybrid, electronic activation of valves, cylinder cut out, the new type of automatic gearbox under development by Jaguar etc etc. No chance they will keep to this timetable. Idiots. Lithium is a precious metal and one of the rarest in the world, so how long before it is all mined away and we still have millions of people worldwide who still want cars.but won't get them as there is not enough to go around. Secondly the current fuels used attract 70% tax so when wqe all try and go electric how are those dim witted Politicoes going to make up revenue lost due to the drastic fall in sales of fossil fuels. Thirdly, if we did go all electric the current national grid would NOT COPE and we'd need at least 6 nuclear power station's to take up the drain of energy, they take years to commission in the first place and nothing has been put in place to do so. Fourth- those idiots who think the oil industry will fall apart, well where do you think all your plastics and other essentials that are used nowadays come from.....right the oil industry. As the price goes up of any 'precious metal' - they find more. How come? Because it becomes economically advantageous to go looking for the stuff. It's only 'precious' at the moment due to its current price - we actually have no idea how much Lithium there is in the world. If you're interested in precious metals and mining etc check out Tim Worstall - he's on Twitter and makes lots and lots of sense about this subject. Is this from the same group of MPs that were telling everyone that diesel was the way forward just shows how much they know.